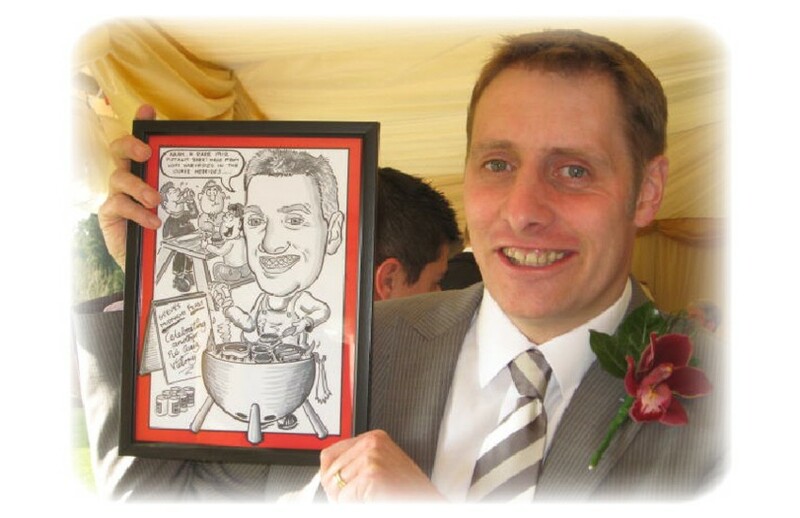 Why not hire my services as a caricaturist for your big occasion? I can attend your event at any time of the day or evening. My hilarious drawings are sure to be a great ice breaker at private parties and a great talking point for weeks to come afterwards! I have over 40 unique themes for you and your guests to choose from and drawings only take a matter of minutes to complete. Since I work from the LCD of my digital camera nobody has to wait around for their drawing, they simply pose for a picture and collect it later. I attend a huge variety of events including weddings, birthdays, christenings, charities, fetes, fun days, social events, Christmas functions and anniversaries. When my time is paid for all the drawings are free, but I try to be flexible with my fees for functions that are built on a budget or require a donation from me. Working with a camera means that I can take additional orders home to allow for the fact there is not always enough time to fit everyone into my busy schedule. 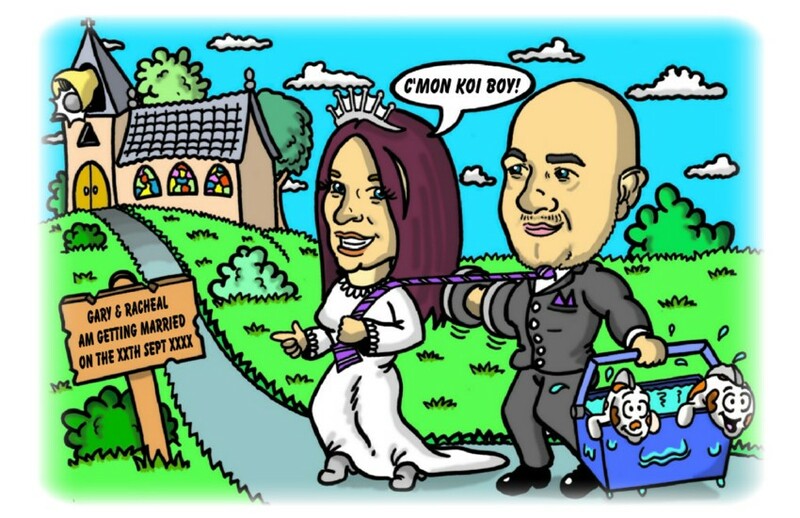 For a list of quotes for your wedding or party simply send me the venue date and location and I’ll be happy to supply you with a range of quotes for my time. If you’re organising a function and want further details on what I can offer you then please get in touch to discuss your event further. 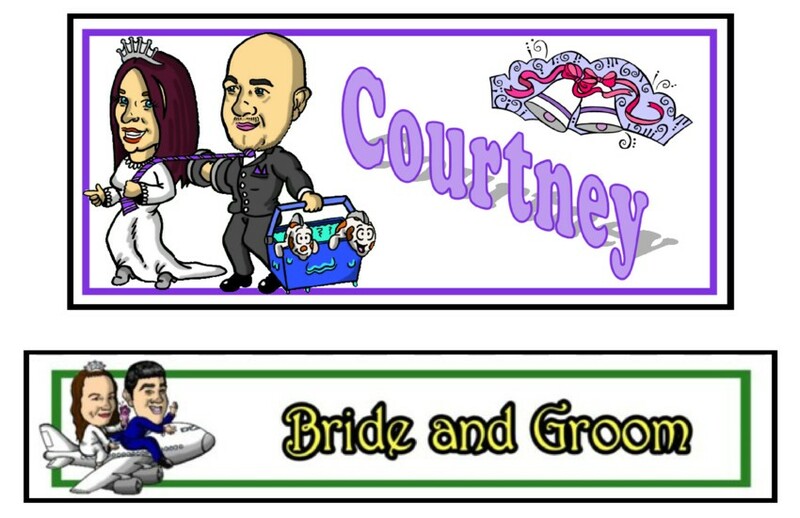 These are caricature backdrops designed to tie in with ANY theme you might be having for your occasion, whether it’s a grand wedding or small gathering. Designs I’ve created include those based around ‘The Beatles’, ‘The Caribbean’ and ‘Las Vegas’ as well as those which include the venue where the ceremony took place. The perfect way to thank those individuals who helped to make your day extra special. These are drawn to include each guests own hobbies, interests, career etc. and are the ultimate ’not on the High Street’ gift! 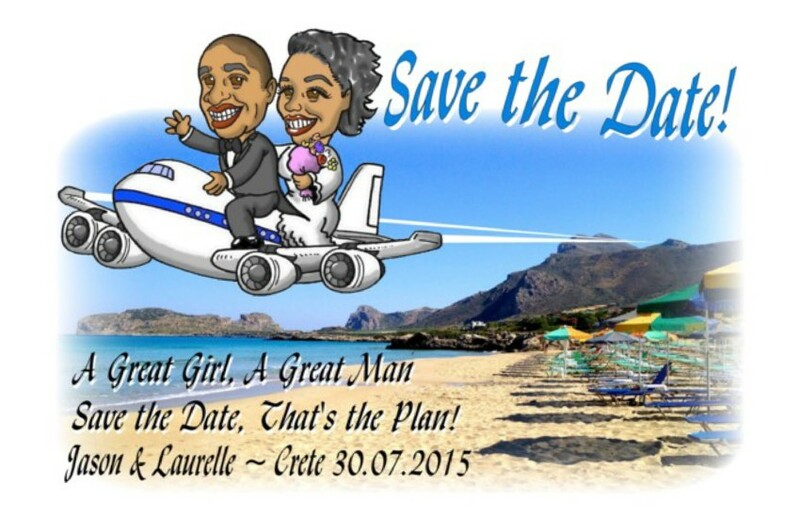 In addition to my entertainment services I can also provide a range of matching stationery for your function. These include both formal and informal invitations, save the date cards, place cards, menus, thank you cards, momento cards, table plans etc. As an artist I can provide you with unique artwork to adorn your stationery and personalise each item at no extra cost. The majority of this work is printed by myself from my studio onto high quality, matte photo paper. This gives a high definition finish as it prevents the ink from bleeding into the surface of the paper. I have a price list available upon request but I also offer discounts for large or multiple orders. Proofs of all artwork and designs are sent free of charge. My invitations come in 2 styles - formal (A5 folded with an A6 front), or informal (A6 postcard style). I can include a photo or image of your choosing at no extra cost or I can design your own personalised piece of art from scratch for a small one-off fee. 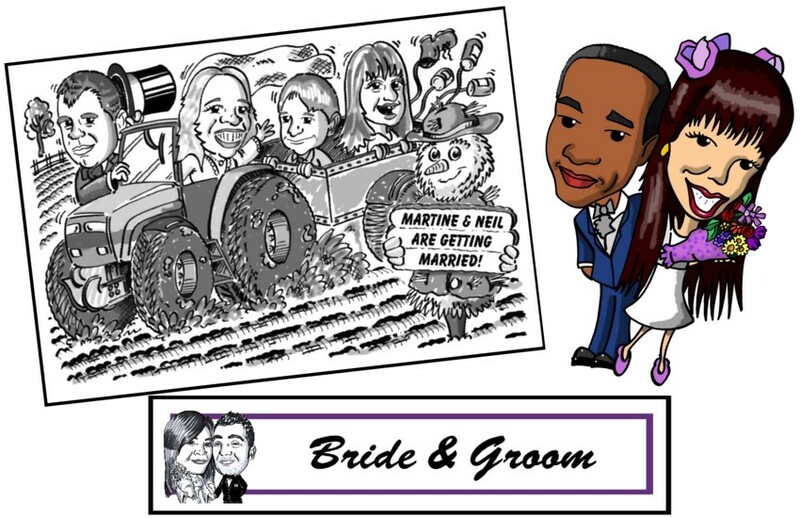 This artwork can also be used on other stationery such as place cards at no extra cost. The original will be supplied to you free of charge complete with frame for you to display in your home. These are generally credit size cards (85mm X 54mm) and come in quantities of 10 per A4 sheet. They are double sided and come fully laminated with an image of your choosing on one side and a personal message on the other. 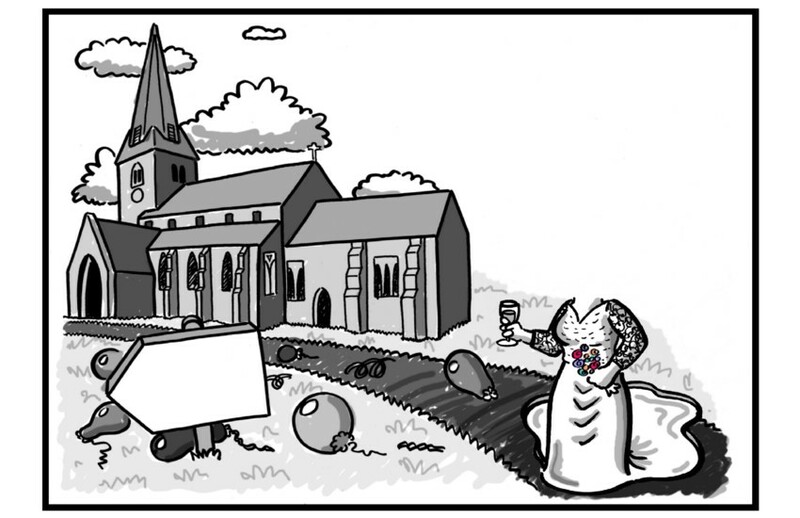 Alternatively I can draw you a cartoon to be printed on them for a one-off fee.